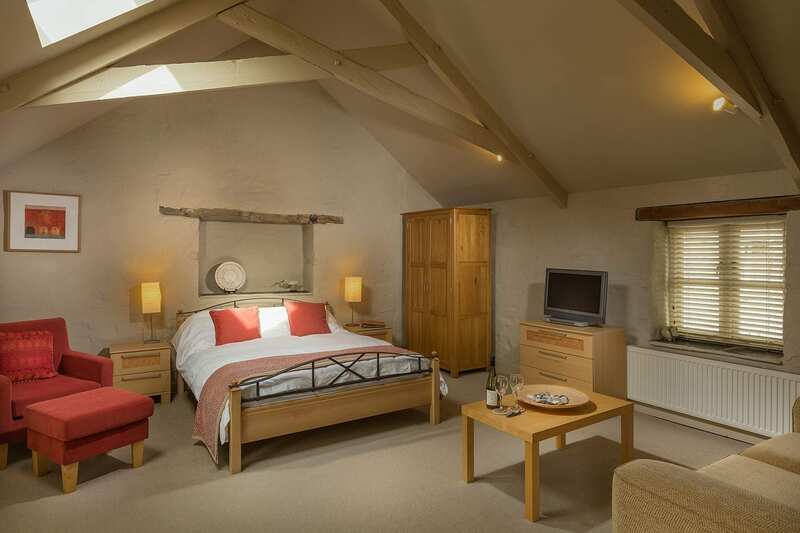 The Hayloft was created by the considerate conversion of the upper level of one of our ancient granite barns. This building was used for many years as a store for sacks of cereals and was so big that the other half of this huge space became The Granary. 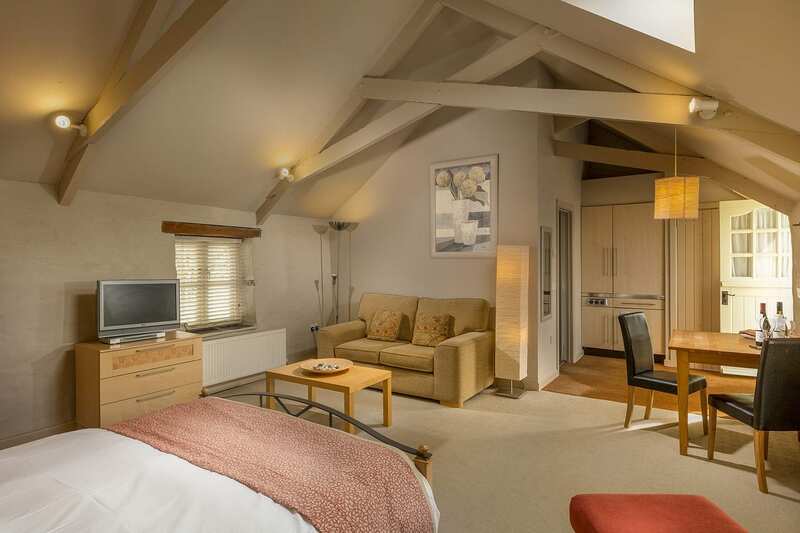 The spacious Double Bed in Hayloft promises a wonderful night’s sleep between the 400 thread-count finest 100% cotton sheets, finished to offer the ultimate in softness. 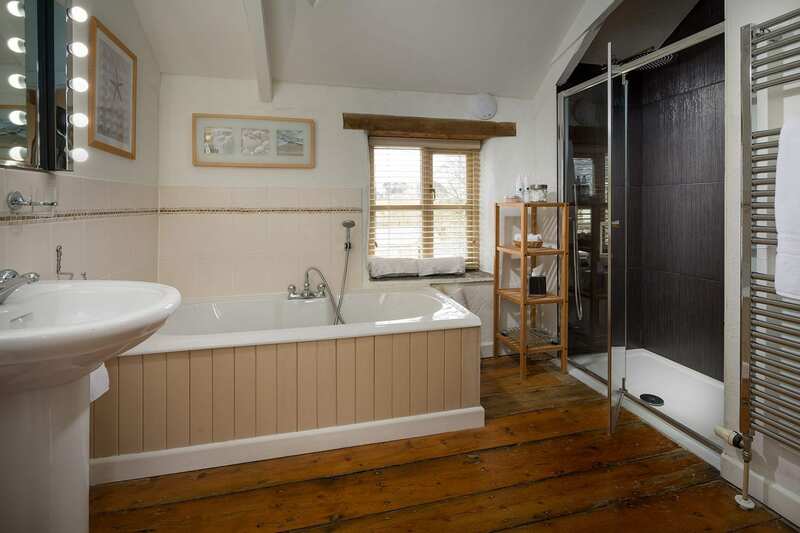 Comfortable sofas and armchairs allow you to stretch out and fully relax, and the luxurious en-suite bathroom comes complete with two basins, a comfortable bath and a generous double shower. 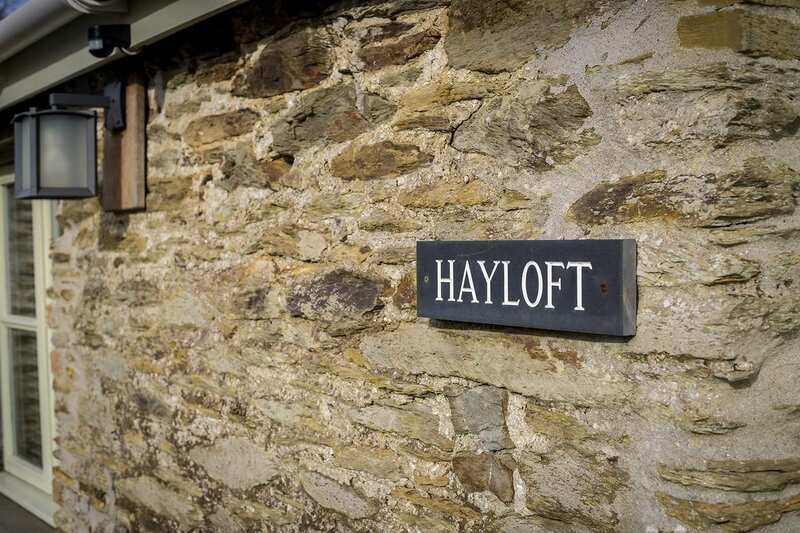 The Hayloft includes a discreetly hidden ‘kitchoo’ – a stylish, compact kitchen tucked out of sight when not required, but giving you the option to cook if you simply feel like a quiet evening soaking up the tranquility on the farm watching our free ranging hens quietly preparing themselves for bed. 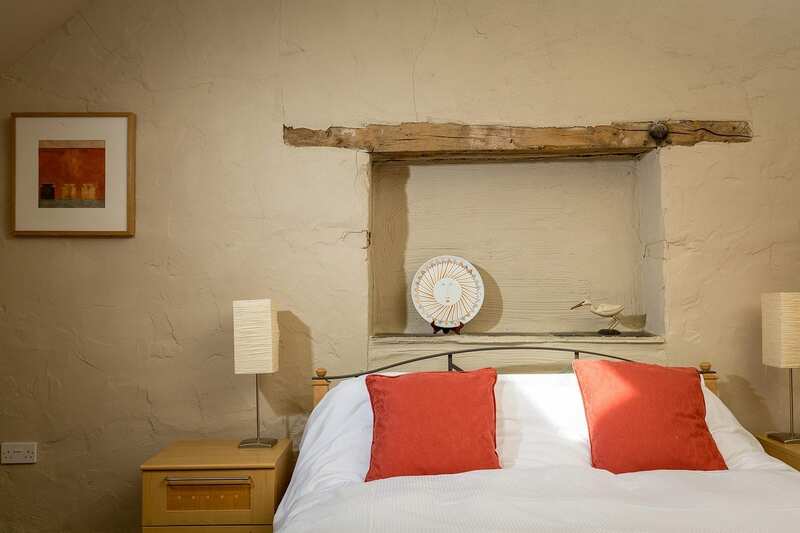 Giving you the best of both worlds, a stay in the Hayloft includes our award winning Trenderway Farm Breakfast. Kitchoo syle kitchen featuring dual hob, combination microwave/oven/grill, fridge, sink and kettle. Colour TV and video. Central Heating. Ironing facilities. Electric blanket. Magazines. 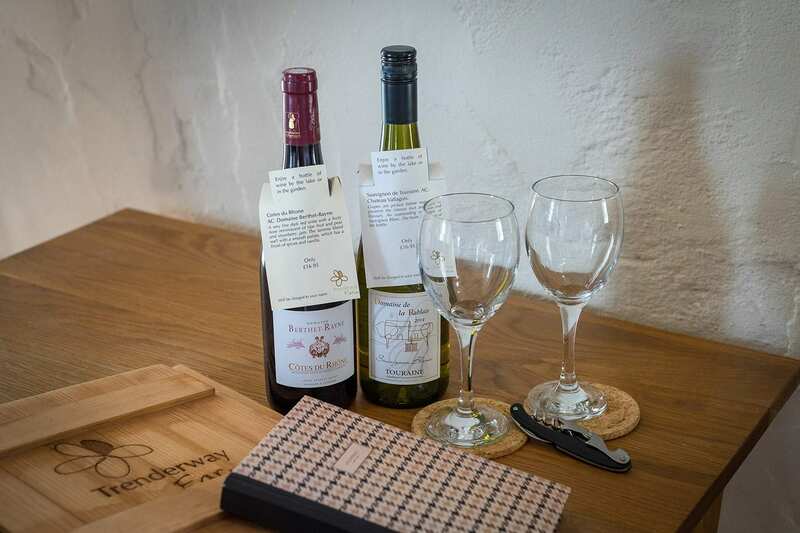 Alarm clock | CD player | Colour television | DVD player | Digital Freeview | Hairdryer | High speed internet connection | Iron | Ironing board | Non-smoking | Refrigerator | Tea and coffee making facilities | Wireless internet connection.